Within Teamwork Projects, if you are an administrator, you can change the Date Completed information on a task. 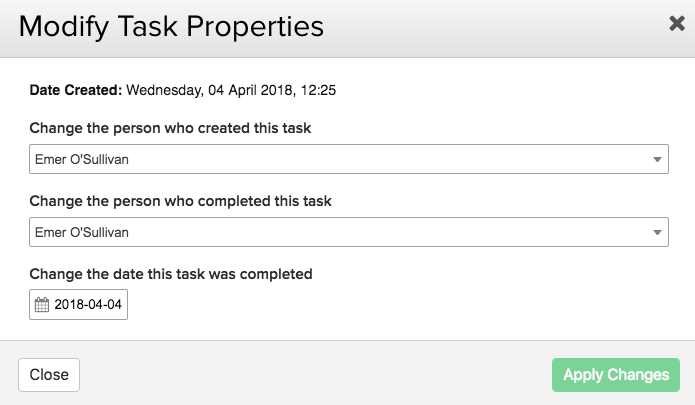 Click the completed task name to go to the Task Details screen. In the left panel, you will see a Modify link next to the Date Completed. You can choose a new completed date here, as well as the person who created the task, and the person who completed it.